Four years after the release of her previous solo album Wild Dog, Susanna recently returned with her much-anticipated, eleventh album Triangle. It was released on Susanna’s own SusannaSonata label, and is no ordinary album. Not by a long chalk. 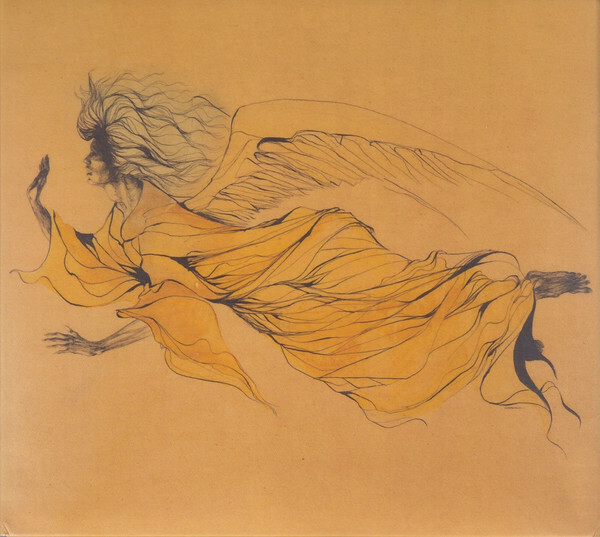 Instead, Triangle is a twenty-two song cerebral epic, where Susanna muses and meditates on mortality and religion. The result is what Susanna describes as: “music for lost souls,” where “nothing is holy, nothing is sacred.” It’s a powerful album, that invites reflection and introspection. Triangle is also an introduction to a multitalented and versatile artist. That has been the case since Susanna came to prominence with Susanna and The Magical Orchestra, which she cofounded with Morten Qvenild in 2000. Since then, Susanna and The Magical Orchestra’s unique fusion of indie pop, jazz and electronica has grown in popularity. The song that introduced many music falls to Susanna and The Magical Orchestra was a captivating cover Dolly Parton’s Jolene. It was released as a promo single in 2004. This was a tantalising taste of what Susanna and The Magical Orchestra were capable of. List Of Lights and Buoys. Later in 2004, Susanna and The Magical Orchestra returned with their much-anticipated debut album List Of Lights and Buoys. It featured a mixture of cover versions, including Who Am I, Jolene and Distance Blues And Theory and new songs. Most of the new songs were penned by Morten Qvenild and Susanna. These songs became Susanna and The Magical Orchestra’ debut album, List Of Lights and Buoys. It was released to critically acclaim on Rune Grammofon. Two years later, and Susanna and The Magical Orchestra returned with their sophomore album Melody Maker. Just like their debut album, new songs rubbed shoulders with cover versions. This time though, there were only two new songs. The rest were cover versions, including some old favourites and classic songs. They were given a makeover by Susanna and The Magical Orchestra. This included Leonard Cohen’s Hallelujah, AC/DC’s It’s A Long Way To The Top, Scott Walker’s Don’t Think Twice, It’s All Right, Bob Dylan’s Don’t Think Twice, It’s All Right and Sandy Denny’s Fotheringay. They all featured on Susanna and The Magical Orchestra’s 2006 sophomore album Melody Maker. So did a cover Joy Division’s Love Will Tear Us Apart. It helped introduce Susanna and The Magical Orchestra’s music to a wider audience. The understated reinterpretations of familiar and classic songs on Melody Maker, won over critics and music fans alike. Many of these familiar songs took on a new meaning, that caught the imagination not just of critics and record buyers, but program makers too. Especially, Susanna and The Magical Orchestra’s cover of Love Will Tear Us Apart, It came to the attention of the makers of the American drama series, Grey’s Anatomy. The song featured in the third series of Grey’s Anatomy in 2007 and also featured in the third series of British drama Skins in 2009. Suddenly, Susanna and The Magical Orchestra’s music was being introduced to a much wider audience. By then, Susanna’s solo career was well underway. The Solo Years Part One. Susanna’s solo career began in 2007 when she released her critically acclaimed debut album Sonata Mix Dwarf Cosmos on Rune Grammofon. It was an album of original songs which Susanna wrote or cowrote. This showcased not just a talented singer, but an equally talented songwriter. However, for her sophomore album Flower Of Evil, Susanna took a very different approach. Rather than writing another album of new songs, Susanna decided to release an album that featured just two new compositions and twelve cover versions. Susanna thought songs like Thin Lizzy’s Jailbreak. Sandy Denny’s Who Knows Where the Time Goes? Lou Reed’s Vicious, Harry Nilsson’s Without You, Black Sabbath’s Changes and Tom Petty and The Heartbreakers’ Don’t Come Around Here No More were all ripe for reinvention. And so it proved to be. Susanna’s understated covers of these familiar, and in some cases, classic songs won over critics and music fans upon the release of Flower Of Evil in 2008. 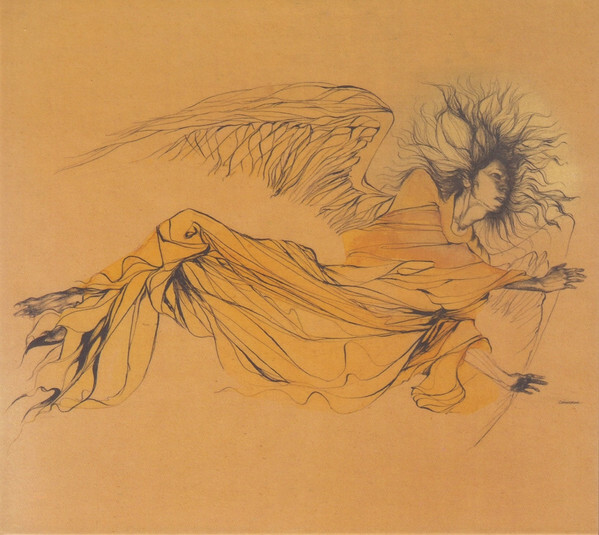 The same critical acclaim that accompanied the release of Sonata Mix Dwarf Cosmos accompanied the release of Flower Of Evil. Just two albums into her solo career, and Susanna was being hailed by critics as one of music’s rising stars. Despite the response to Flower Of Evil, Susanna put her solo career on hold, and began work on Susanna and The Magical Orchestra’s third album, 3. It was released in June 2009, and featured mostly songs penned by Susanna and Morten Qvenild. Their less is more approach proved successful once again. The understated arrangements allowed the ethereal beauty of Susanna’s impasioned vocals to centre-stage on what was a captivating and alluring album from Susanna and The Magical Orchestra. Since then, Susanna and The Magical Orchestra have yet to release the followup to 3. However, Susanna has been busy with a variety of other projects. Susanna and Giovanna Pessi-If Grief Could Wait. Two years later, Susanna returned in 2011 with two new project. This included If Grief Could Wait, Susanna’s collaboration with Swiss harpist Giovanna Pessi. For If Grief Could Wait, Susanna had penned two new songs. They joined eleven songs from the pen of Nick Drake, Leonard Cohen and Henry Purcell. These songs were reinterpreted by Susanna and Giovanna Pessi, The result was a quite beautiful fusion of baroque, balladry and jazz. It was released on ECM, and released to plaudits and praise during in 2011. So was Susanna’s other project Jeg Vil Hjem Til Menneskene. Susanna Wallumrød-Jeg Vil Hjem Til Menneskene. For Jeg Vil Hjem Til Menneskene, Susanna was billed as Susanna Wallumrød as she reinterpreted the poems of Norwegian modernist poet Gunvor Hofmo. To do this, Susanna was joined by some of the great and the good of Norwegian music. 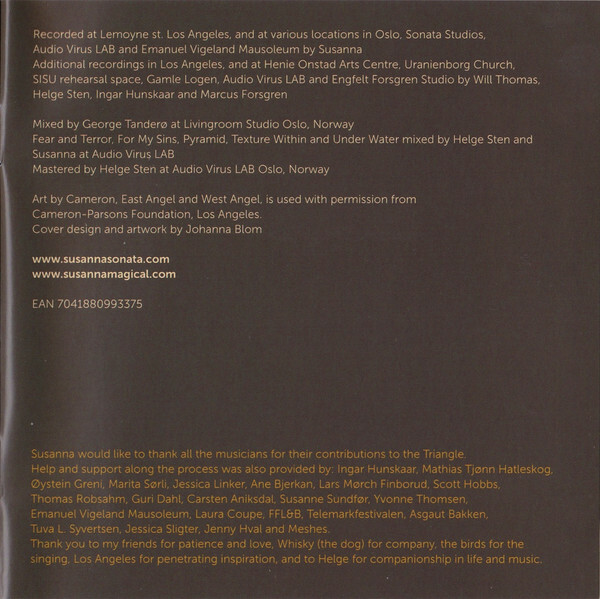 This included her husband, Helge Sten, who produced Jeg Vil Hjem Til Menneskene. It was ambitious mixture of folk, rock and Nordic music that brought new life and meaning to Gunvor Hofmo’s poems. This won the approval of critics and cultural commentators. 2011 had been a successful year Susanna. So she hoped would 2012, as she resumed her solo career. The Solo Years Part Two-Wild Dog. Four years after the release for her critically acclaimed sophomore album Flower Of Evil, Susanna returned with her third album Wild Dog in 2012. It marked the coming of age of Susanna as a songwriter. Everything she had previously written seemed to have been working towards this. On Wild Dog, Susanna was at her most introspective as she reflected not just on the themes of hurt and heartbreak, but loneliness and longing. Occasionally, the lyrics are almost otherworldly and prove to be intriguing. Mostly, though, Wild Dog was a poignant and powerful album emotively where Susanna combined indie pop and jazz. When Wild Dog was released in March 2012, it was to critical acclaim. This was becoming a habit, and one that continued. Later in 2012, Susanna won one of the most prestigious awards in Norwegian music, a Gammleng Award. Susanna’s award came on one of the toughest categories, the Open Category. She was up against some of Norway’s most talented musicians. Despite this, Susanna triumphed for the first, but not the last time. Susanna and Ensemble Neon-The Forester. A year later, and Susanna was back with not just a new album, but a new band, Susanna and Ensemble neoN. Their debut album was The Forester. It was another album of songs written by Susanna. Again, Susanna was in a reflective mood, as she pondered the human condition. This she did in her own unique way. One minute she was strong and seemingly invincible, the next an element of vulnerability seems to creep in. Despite this, there’s poetic quality and profoundness to the music on The Forester. Critics agreed when The Forester was released in September 2013. Later that year, Susanna was crowned one of Norway’s most talented singer-songwriters. When the list of nominees for the most prestigious Norwegian musical award the Spellemannprisens were published later in 2013, Susanna’s name was on the list. She had again, been nominated for the Open Category. Despite being up against an impressive array of talented musicians, Susanna won her second award in two years. Now she had a Spellemannprisen to sit alongside her Gammleng Award. Jenny Hval and Susanna-Meshes Of Voice. Although Susanna’s recording career only began in 2004, ten years later, she was about to release the eighth album of her career. This was Meshes Of Voices, a collaboration with Jenny Hval. It began with the two singer-songwriters exchanging letters, and eventually, resulted in them writing fifteen songs. They became Meshes Of Voices. It was recorded in 2009, but lay unreleased until 2014. That was when Susanna decided to release Meshes Of Voices on vinyl, By then, she had founded her own label SusannaSonata in 2011, Since then, the label had released her two award winning albums, Wild Dog and The Forester on SusannaSonata. 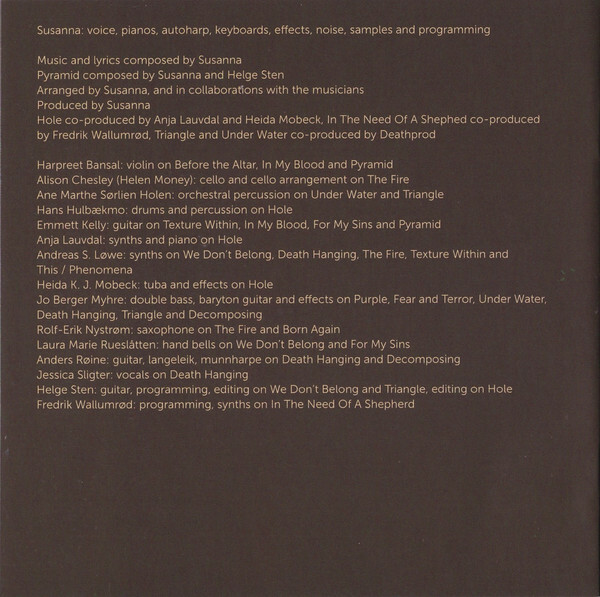 Meshes Of Voices was the latest album to be released by SusannaSonata. Initially, Meshes Of Voices was a vinyl only release. Susanna it seemed was testing the market, to gauge the response to Meshes Of Voices. Critics and cultural commentators spoke as one, calling Meshes Of Voices one of the finest Norwegian albums of 2013. Jenny and Susanna were like yin and yang on Meshes Of Voice. Their voices are made for each other. They bring out the best in each other, driving each other to greater musical heights. That’s apparent throughout Meshes Of Voice, which was one of the finest albums of Susanna’s ten year career. After the success and critical response to Meshes Of Voices, Susanna decided to release the album on CD and as a double LP. This resulted in a much wider audience hearing Meshes Of Voices. It also resulted in Susanna receiving another prestigious award. This was the Radka Toneff Memorial Award. It’s awarded to singers who act in the spirit of the famous Norwegian jazz singer Radka Toneff. In 2015, Susanna was recipient of this prestigious award and 25,000 Norwegian kroner. For Susanna, this was another highlight of her career. So would her next solo album, Triangle. The Solo Years Part Three-Triangle. Four years had passed since Susanna released her last solo album Wild Dog. She decided to release the followup during 2016, so began work on what would become an epic album, Triangle. For what would eventually become Triangle, Susanna wrote twenty-one of the twenty songs. The other she cowrote with her husband Helge Sten. He would later coproduce Triangle with Fredrik Wallumrød, Anja Lauvdal, Heiða Karine Jóhannesdóttir Mobeck and Susanna. The recording of Triangle took place at a variety of studios and locations. This included during a trip to L.A. Other sessions took place at the Uranienborg Church, Henie Onstad Arts Centre and a mausoleum. This isn’t the first time Emanuel Vigeland Mausoleumat has been used as a makeshift studio. Its atmospheric, double-barrelled room was used by Huntsville when they recorded their 2013 album Past Increasing, Future Receding album. However, for Susanna recording in a mausoleum was a first. She was used to working at her Sonatta Studios and at Audio Virus Lab where much of Helge Sten’s work takes place. Indeed, he mixed part of Triangle and mastered the album at Audio Virus Lab. Further recording sessions took place at Sisu Sound and Engfelt and Forsgren Studio. At these various locations, Susanna was joined by a vast cast of musicians. Their raison d’être was to provide a backdrop for Susanna on the twenty-two tracks. Meanwhile, Susanna deployed a myriad of instruments, effects and electronics. Throughout her career, Susanna has combined traditional instruments with technology. On Triangle, Susanna played keyboards, synths, autoharp and a piano. She also used a sampler, samples, effects, electronics and noises. They would provide the backdrops to her vocals throughout Triangle. Despite the vast cast of musicians and instruments used on Triangle, the songs have understated backdrops. This is a continuation of Susanna’s less is more musical philosophy. It’s served her well throughout her career, and has aways proved successful. Triangle was no different. On this album of “music for lost souls,” Triangle’s arrangements benefit from a understated and spartan quality. This comes courtesy of a myriad of eclectic musical instruments. That’s not forgetting Susanna’s arsenal of electronics, effects, samples and instruments. They help hone and cultivate the understated backdrops for Susanna’s vocals. However, for much of the time, it’s just the piano that accompanies Susanna as she captivates with some of her most cerebral and ruminative music. Throughout Triangle, Susanna’ vocals range from emotive, expressive and heartfelt to cathartic and confessional. Often there’s a tenderness to the vocals. Other times, beauty is omnipresent. Sometimes though, there’s an elegiac or ethereal quality to Susanne’s vocals. Occasionally, there’s vulnerability in her voice. Especially on the ballads, which are among Triangle’s finest moments. This includes We Don’t Belong, Texture Within, For My Sins, Triangle and Ebb And Flow. There’s a darkness to a couple of the ballads Decomposing and Sacred Revolution. Away from the ballads, Pyramid is a hauntingly beautiful instrumental. It benefits from a dreamy cinematic quality. However, throughout Triangle, Susanne reminds the listener that she’s a truly talented and versatile vocalist. She seamlessly switches between a wide range of subject matters, including morality and different aspects of religion. Constantly, Suzanne probes and questions throughout Triangle. Much of the time, there’s a spiritual quality as she probes and ponders the subjects of mortality and religion. The subject of religious is examined throughout Triangle. That is the case from Holy/Sacred to the meditative We Don’t Belong, where the lack of permanence seems to strike fear into the heart of Susanna. Shepherd has a pastoral and elegiac sound. For My Sins, a stark piano lead track is akin to a confessional, while Burning Sea is one of the most experimental sounding tracks. It has a cinematic Old Testament sound to it. It’s akin to a 21st telling of one of the scriptures. This experimental sound continues on In The Need Of A Shepherd. Very different is Born Again, with its joyous, celebratory sound. Its call and response style has been inspired by gospel music. This is all part of Susanna examination of the subject of religion. To do this, she takes a different approach to others that have walked down this road before. Life is full of lost souls searching for meaning in life. Many of these lost souls turn to religion. This they believe will bring meaning to their meaningless and empty lives. A few however, turn to magick, in their search for meaning. It’s a similar case for this looking to fill a void in their lives. Again, many people fed up of that empty void in their lives, turn to religion. Meanwhile, a few are drawn to magick. This is just one of many ways lost souls try to fill a void. These two subjects, religion and magic are examined by Susanna during her critically acclaimed, genre-melting solo album Triangle. It’s one of the reasons why Susanna won the Kongsberg Jazz Award. It’s the eleventh album Susanna has released since 2004. Triangle is also one of her finest. It features understated, spartan arrangements. They come courtesy of Susanna’s arsenal of electronics, effects, samples and instruments. When they’re combined, they help hone the stark, understated and beautiful backdrops. Often, they’re a mixture of different musical genres and influences. This includes elements of ambient, avant-garde, chamber folk, drone, electronica, experimental, gospel and indie pop. The result is music that’s cerebral as Susanna muses and meditates on mortality and religion. As she does, the music on Triangle is variously beautiful, cinematic, emotive, expressive, heartfelt and hopeful. Especially as Susanna’s vocals take centre-stage. She breathes life, meaning and emotion into the songs on Triangle. Susanne is at her best on the ballads. This is where she comes into her own, as she delivers a series of vocal masterclasses. Other times, the music on Triangle changes and becomes dark, melancholy and wistful. It’s part of what’s a captivating and cerebral album, Triangle.